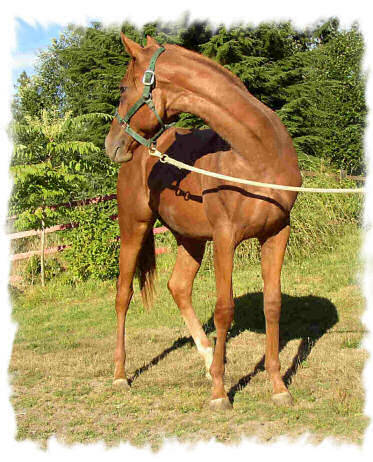 Our 2005 filly... what a gorgeous girl! 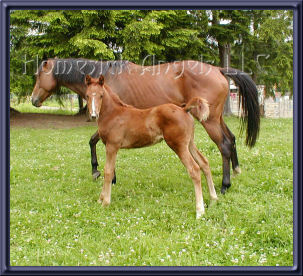 See her dam, Always Pleasing, and her sire, Stolen Gold. 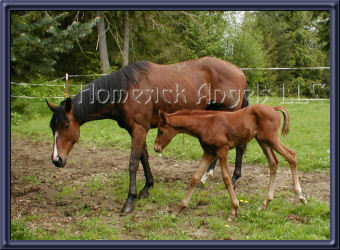 Pictured with mama Always Pleasing at age five days, April of 2005. Later, at age thirteen months and getting TALL!!! 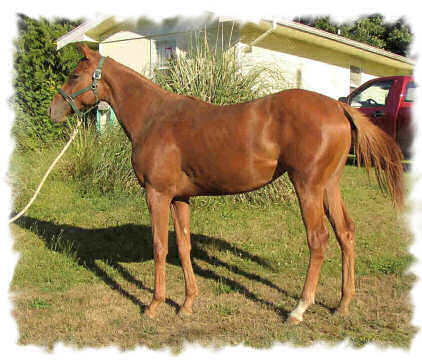 We reluctantly offer this outstanding filly for sale, to an extraordinary home only. She will mature at about 16:2, and is just as sweet as a horse can be. 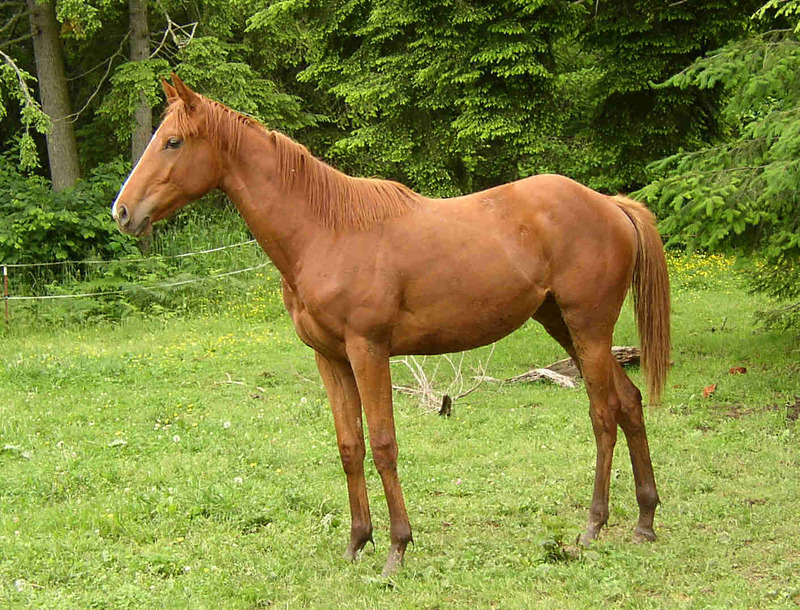 With a bright chestnut coat and sabino roaning and white markings, she's quite the flashy girl. 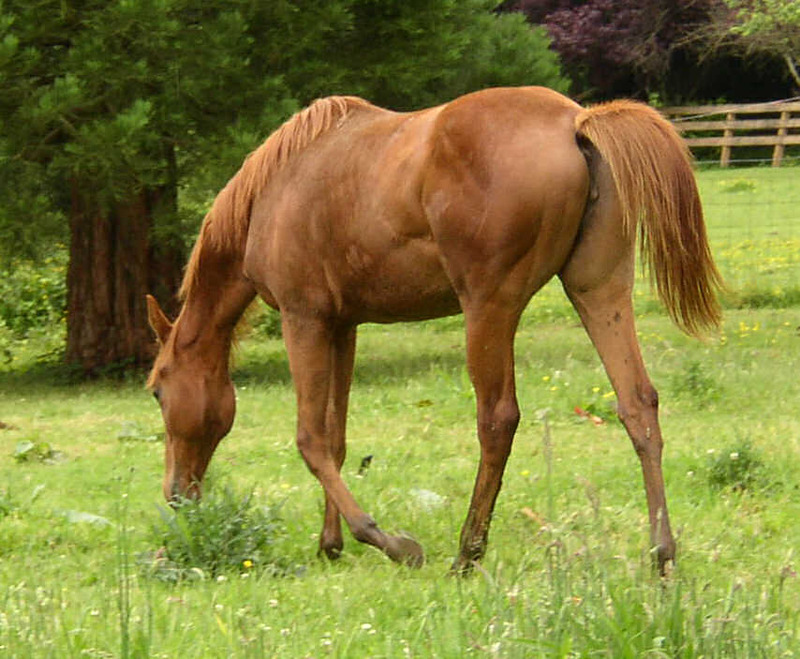 And here she is in August of 2006, at 16 months of age and 15:1 HH. Goldie shows all the signs of becoming a super athlete, and is calm and easy to handle. 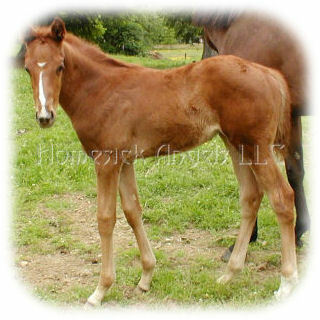 With her fantastic pedigree and physical attributes, she's going to be an asset to anyone who owns her.